Laurien Berenson also wrote as Laurien Blair. 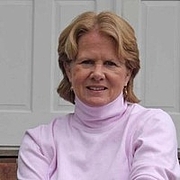 Laurien started writing romance novels on 1983 as Laurien Blair, she continued signing romances as Laurien Berenson, and now, she writes mystery novels. She’s most noted for her Melanie Travis series of murder mysteries based on school teacher Melanie Travis who owns and shows full size pedigree Standard Poodles. She is a winner of the Romantic Times Reviewers’ Choice Award, four time winner of the Maxwell Award, presented by the Dog Writers Association of America and an Agatha and Macavity Nominee. Laurien and her husband live on a farm in Kentucky surrounded by her beloved dogs and horses. Laurien Berenson is currently considered a "single author." If one or more works are by a distinct, homonymous authors, go ahead and split the author. Laurien Berenson is composed of 7 names. You can examine and separate out names.